Pearland is just south of Houston, sharing boundaries so that you may not see when you’re leaving one city and entering the other. Thus, the two cities share several things to do, like attending events at the Toyota Center and Minute Maid Park and admiring historic aircraft at the 1940 Terminal Museum near Hobby Airport. NRG Park is home to the Houston Livestock Show & Rodeo and hosts the NFL’s Houston Texans throughout the fall. When you visit Pearland, you will find yourself surrounded by culture, laughter, big, beautiful trees, and the friendliest smiles. Here’s a list of some of the most notable attractions in and around Pearland. Head to 288 Lake, Houston’s premier open water experience, for a day packed with fun on this serene spring-fed lake between Pearland and Houston. Scuba dive, kayak, train for a triathlon, and stand up paddle board. Pearland’s Bass Pro Shops is more than just an outdoor store. Browse the store, then take part in one of the regular workshops, crafts, and activities. Be sure to check out the full mounts of various fishes, fowls, and mammals, along with the 30,000-gallon aquarium where you can see red fish, catfish, largemouth bass, and carp. Don’t miss the Arcade and Shooting Gallery, the Indoor 3D Archery Range, the Fudge and Nut General Store, and the on-site Islamorada Fish Company Restaurant. Let your child’s imagination run wild at the Children’s Museum of Houston. With all kinds of interactive exhibits and activities, this colorful museum is sure to be a fun time for children of all ages. Plus, the kids are not going to want to miss the opportunity to become a spy agent with the museum’s S.E.C.R.E.T. program! The Houston Museum of Natural Science is a first-class museum in the Houston Museum District where you can learn about the natural sciences in a fun and interactive way. Get up close and personal to exhibits that immerse you in ancient Egypt, showcase African wildlife, and allow you to discover the paleontology of the dinosaurs. Other attractions, such as the Cockrell Butterfly Center and Burke Baker Planetarium, provide even more to explore. If you visit Pearland anytime March through September, be sure to check the Houston Astros’ schedule. The chance to see this MLB baseball team play at Minute Maid Park is a memorable experience not to be missed. The Museum of Fine Arts Houston, situated in the Houston Museum District, offers an expansive spread with two gallery buildings, two libraries, two art schools, two house museums for American and European decorative arts, a sculpture garden, and a theater. The MFAH displays art of the caliber of artists like Degas, van Gogh, and Chardin, along with films of note and world-renowned exhibitions. NRG Park is the premier event facility in Harris County. This park is made up of four facilities: NRG Center, NRG Arena, NRG Stadium, and NRG Astrodome, and host to numerous iconic Houston-area events like the Houston Livestock Show and Rodeo, and home of the NFL Houston Texans. Opt for a night of entertainment at the Pearl Theatre, where you can see performances like Romeo and Juliet, The Odd Couple, and Best Little Whorehouse in Texas performed by the Pearland Theatre Guild. Grab your helmet and sense of adventure and head to Pearland BMX, a USA BMX-sanctioned bicycle motocross track, where you can practice and participate in races. Youngsters can enroll in group and private lessons to enhance their skills. Races and practices are held Friday and Saturday evenings. The Pearland Golf Club at Country Place is open to the public and offers putting facilities, a driving range, and 18 holes of top-notch golf. This Pearland golf course located south of Houston is for a great place to go if you’re looking for a relaxing day on the course. Reminisce about the “good old days” of big hair and shoulder pads and enjoy a fun afternoon or evening of roller skating at Pearwood Skate Center in Pearland. Quad skates or in-line skates are included with your entry fee. This roller rink provides beginner skate lessons and women’s roller derby training, as well as snacks like pizza and chicken wings. 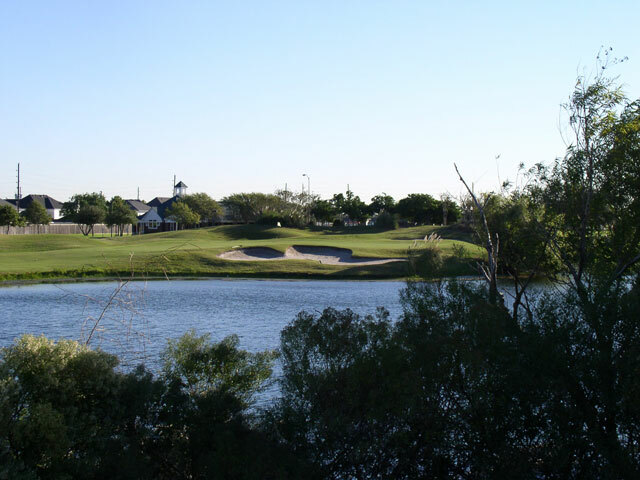 The Southwyck Golf Club offers some of the finest public golf in the Houston area, with its 18-hole link-style golf course that winds through the beautiful Silverlake community. This course was designed with the player in mind, with elements to challenge all playing levels such as sand traps and water hazards. With its banquet facility featuring a patio overlooking the first tee, this Pearland golf course is also a popular wedding location. In 1977, the Sri Meenakshi Temple Society was established and soon built the Sri Ganesh temple. The 23-acre complex includes an outer prakaram for the main temple, kalyana mandapam, priest quarters, youth center, and a visitor’s center. 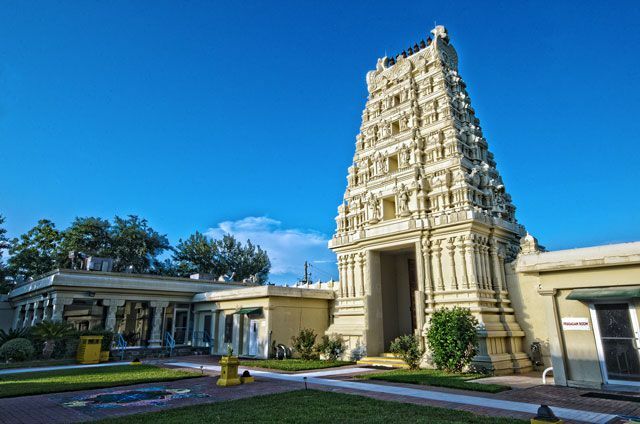 Not only is the Sri Meenakshi Temple in Pearland a top place to celebrate culture, it’s also a display of breathtaking architecture. When planning your trip to Pearland, be sure to check out the schedule for the Theatre Under the Stars, Houston’s premier musical theater and arts education nonprofit. In addition to contemporary Broadway hits, the theater, located in Houston’s Theater District, showcases such classics as Into the Woods, An American in Paris, and Dreamgirls. Watch the Houston Rockets, one of the top teams in the NBA, vie for a playoff spot in the stacked Western Conference at the modern Toyota Center. Located in downtown Houston, the arena also hosts iconic musicians and performers like Adele, Demi Lovato and Nick Jonas, and Amy Schumer.